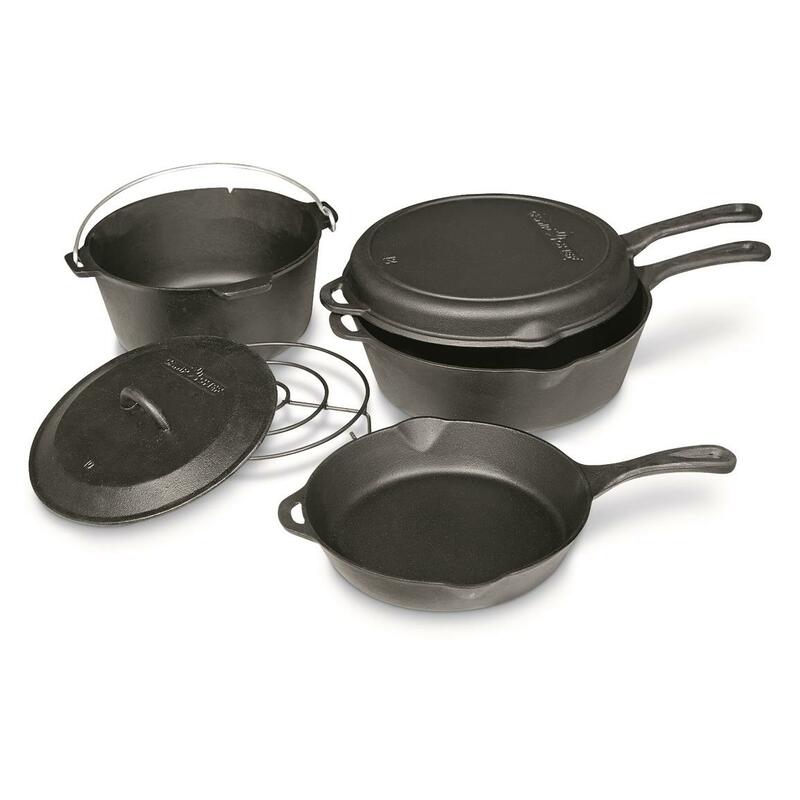 Start off your Cast Iron collection right with this 6-piece Camp Chef® Set. 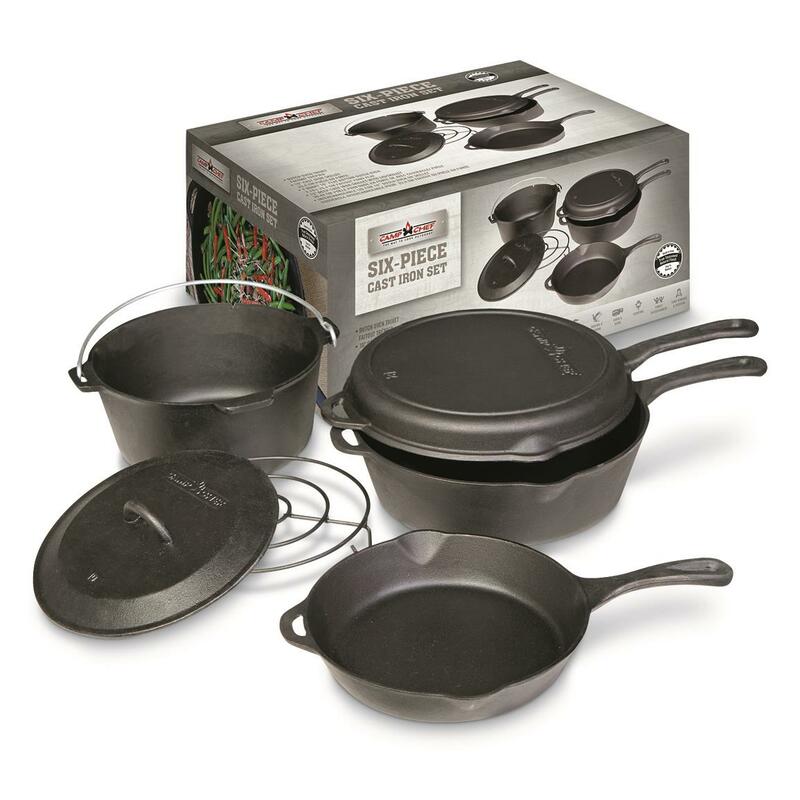 Kit includes a legless Dutch oven with a trivet, a 10" skillet, and a deep skillet with matching lid that doubles as another skillet. It's everything you need to cook your favorite meals on your next outdoor adventure. Comes pre-seasoned, so you can get cooking right out of the box. 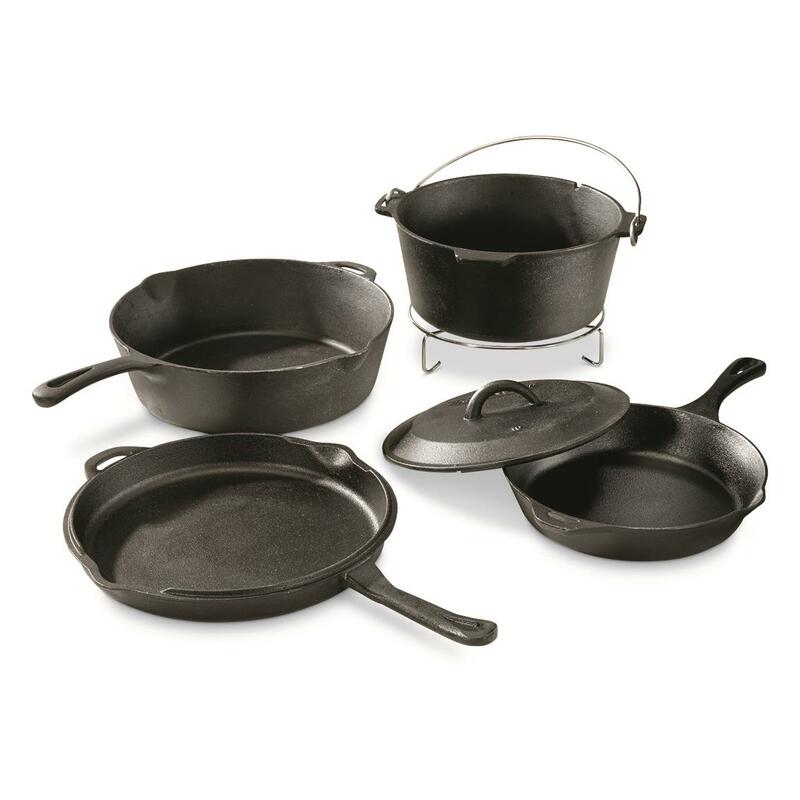 For helpful tips, tricks and recipes for cooking and backing with Cast Iron, be sure to check out the Dutch Oven Cooking Guide under the "Additional Product Information" tab below. 4-qt. Dutch Oven: 12" interior diam. 12.5" exterior diam., weighs 20 lbs. 10" Skillet: 16" x 8" x 1.9", weighs 5 lbs. 12" Skillet: 18.5" x 9" x 2", weighs 7 lbs. Camp Chef Cast Iron Cook Set, 6 Piece is rated 4.5 out of 5 by 2.